Central Florida Railroad Trail in Sebastian, Florida. 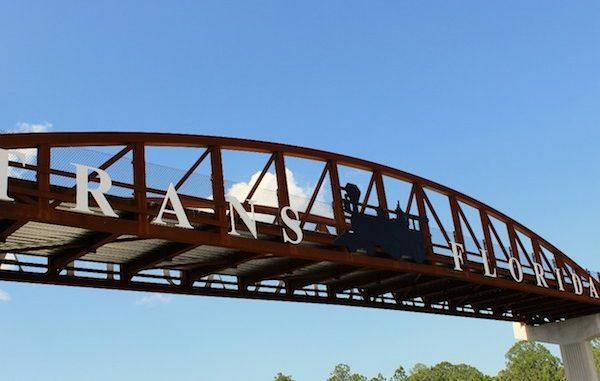 SEBASTIAN – The Central Florida Railroad Trail near Sebastian, Florida recently had its dedication ceremony at the Fellsmere Trailhead Preserve and Welcome Center. The Greenway Pedestrian Overpass is popular, especially on the weekends. The Central Florida Railroad Trail includes 2 miles of paths that follow a route that once extended from Sebastian to Fellsmere. This overpass project is located just north of the Sebastian exit on Interstate 95. There is limited paved parking available at the Fellsmere Trailhead Preserve, and overflow parking in the grass. There are plans to increase the size of the paved parking area. The metal arches on the side of the overpass have the words “Central Railroad Corridor Greenway” in large letters with metal arches that resemble an old railroad bridge. It’s a beautiful piece of work and the project came out better than expected. 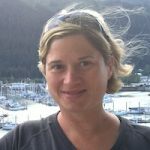 The trail has attracted people to the outdoors as they turn to hike and biking trails instead of the golf course. City and county planners say the project comes after the state spent $50.6 million to widen I-95 in northern Indian River County. When we visited the pedestrian overpass, there were several families riding bikes and taking pictures. There were many people walking the 2-mile trail that leads into some of the best wildlife in Florida. This is a great outdoor activity for all residents. The Central Florida Railroad Trail is located at 11090 County Road 512 in Fellsmere, Florida.